Gone are the days when a newspaper publisher just offered newspapers! Thanks to technology, changing media consumption behaviour and the nature of business, newsprint has to adapt. And it has. The recent Great Benoni Bakeoff is an excellent example of a local event managed by Caxton Local Media. The local newspaper, The Benoni City Times, teamed up with a school in its community, sold tables to vendors, assisted with event logistics and provided pre and post event coverage. 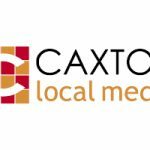 #DidYouKnow that Caxton Local Media is now the second biggest digital publisher in South Africa? Immediate news is extremely relevant to a local community and because of this relevance the publisher now boasts over 6.5 million unique visitors. Combine that with 3.5 million households where local newspapers are delivered and advertisers and brands have access to significant reach! Consumers go to their local newspapers and websites for local news. Retailers have branches in many of the same areas. 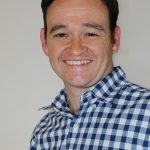 Besides the engagement, the ability to connect residents with retailers and other businesses in a localised manner is one the biggest advantages that this advertising platform has. In a recent Nielsen research programme* that the Publisher Research Council (PRC) made available to the industry, it was clear that reading platforms (digital and print) provides the best Return on Investment for every Rand spent – better even than Television and Radio! 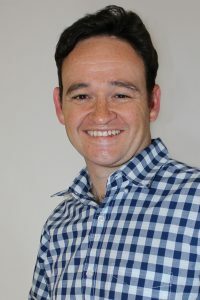 “The Print and Digital combination is a potent permutation, especially when there is strong evidence delivered by a truly robust survey,” says Koekemoer. “We are a multiplatform media company for local communities,” concludes Koekemoer. “Caxton is no longer just a newsprint company, we’re local media and we’re constantly adapting – offering advertisers newspapers, social media campaigns, digital display advertising and even local events managed by our teams on the ground within that community.